In a rematch of Super Bowl 50, the Carolina Panthers visited the Denver Broncos to kick off the new NFL season tonight. For the new campaign, Jordan Brand is starting its NFL endorsers off in Player Exclusive Air Jordan 9 cleats. 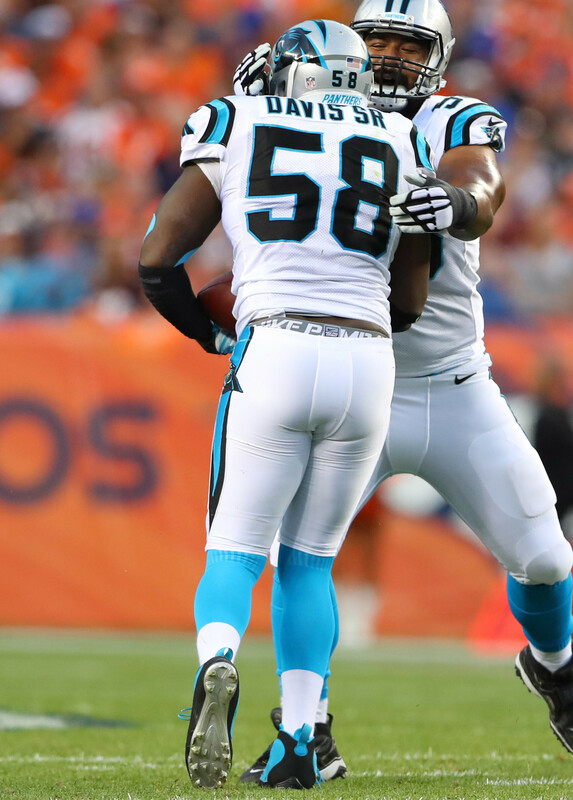 For Panthers linebacker Thomas Davis, a sharp, black and blue colorway with a silver cleat plate. 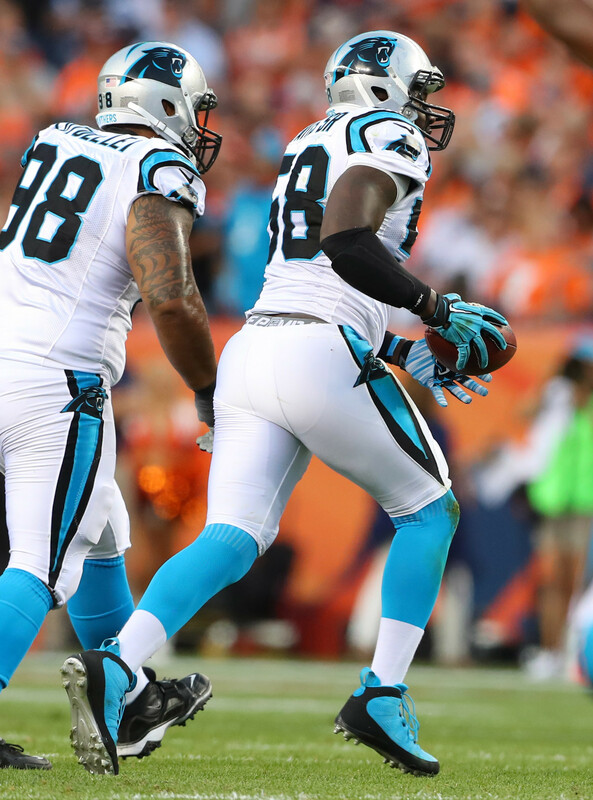 Davis had 4 tackles and an interception as the Panthers fell to the Broncos 21-20.